This was the major project here from 2013 till 2015 led by local residents Roger Johnston and Allan Dodson with PCC. 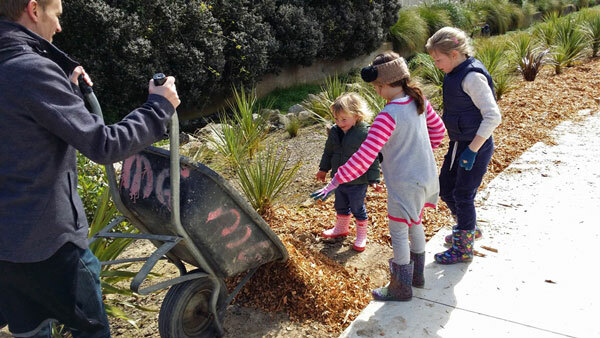 It was tackled in stages starting with pathways from Cluny Road through the park to Airlie Road and the playground. 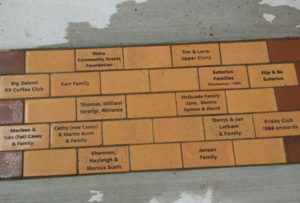 The path has sets of donated pavers inlaid which paid for construction. 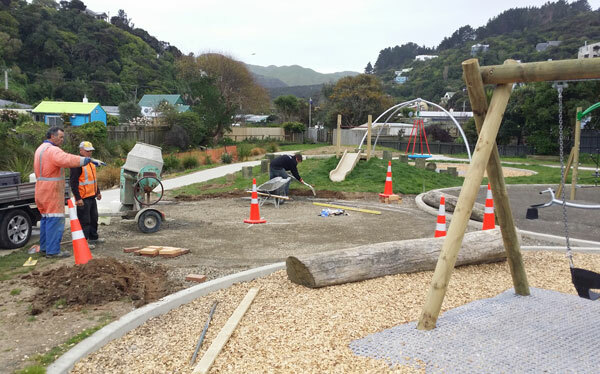 Brent Touhy Construction sponsored development of the popular pétanque court and picnic area. Locals sponsored seating and picnic tables. 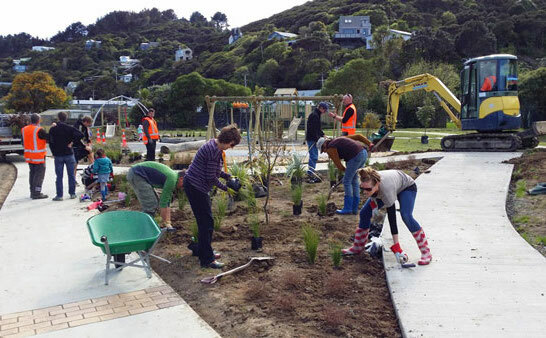 Planting at both entrances was completed by volunteers. The old concrete conduit through the park was removed and the original stream reinstated and opened again to the sea. 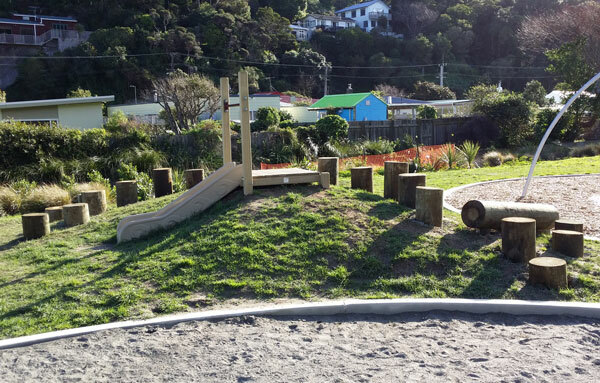 The playground was redesigned with a scooter and bike track.